My Goodness! Can you feel the PSL fever on the roll? Such exciting matches and so many moments already. From Shahid Khan Afridi’s breath-taking catch to Pollard’s unique celebration, the people of Pakistan are just not getting enough of the PSL fever! Wo audience mai bethe Khan Sahab ke Thumkey, aur Imran Tahir ka ground fateh karna, Rana Sahab ka haar kar bhi jeetna, Aur Zainab Abbas ka sabke dil mai sama jana – PSL Season 3 could not get any better than this! 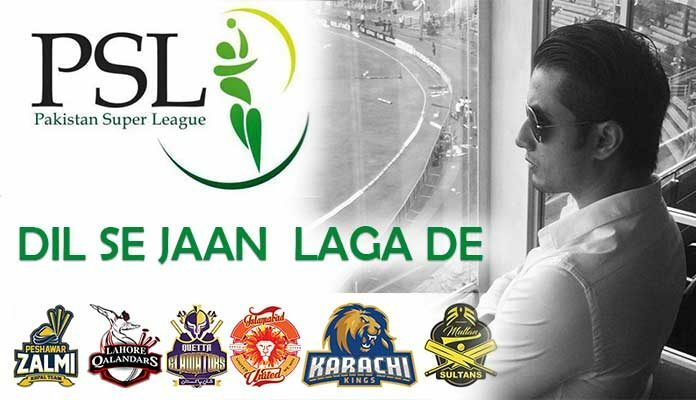 Screenings of live matches at multiple places is building up exceptional hype for the PSL Finale. The locals of Pakistan can be found wearing the colors of their favorite teams everywhere – even at work! Singing the PSL 2018 anthem at the top of their voices with their faces painted. Their joyous cheers and loud roars clearly show their enthusiasm for this season. With only 10 more days to go, the PSL hype is multiplying day after day. And to double the excitement, SavYour brings you a sensational contest that allows you to win FREE tickets to the PSL Finale. 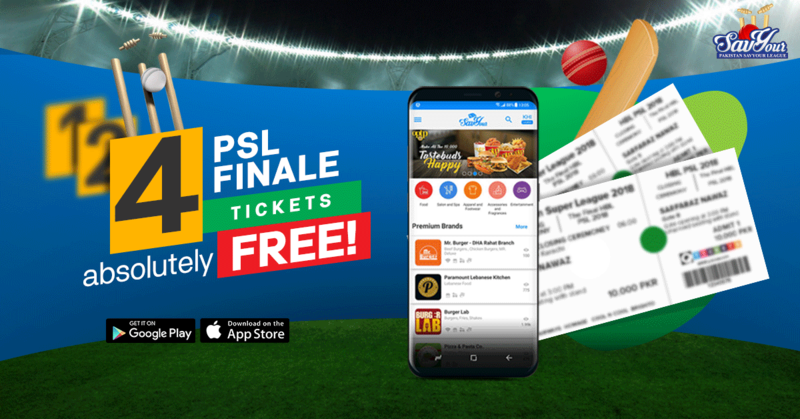 If you are a die-hard fan of PSL and want to witness the action live from National Stadium Karachi, then here is how you can win a FREE Ticket to the PSL Finale. SavYour brings you Pakistan SavYour League, where 4 lucky fans will get to win a Ticket to the PSL Finale. Besides the ticket, SavYour is also giving away 10 original kits to 10 fanatic fans along with exclusive PSL discount vouchers for a variety of premium lifestyle brands. The individual with the most number of points/entries on 23 March 2018 will be declared as the winner of the PSL Final Tickets. The rules of this competition are pretty simple and here is what you need to know about this exclusive giveaway. Download the SavYour app on your phone and score 150 entries. Eazy Peezy! Share the SavYour app with your friends and family to score 100 entries. Like SavYour’s Facebook Page and score 75 entries. Follow SavYour on Instagram and score 50 entries. SavYour will give away 1 original kit to 1 fortunate fan every day from 15 March 2018 onwards. The individual with the most number of entries by the end of the day will get to proudly wear the color of their favorite PSL team. SavYour will also distribute exclusive PSL discount vouchers from 15 March 2018 onwards that you can avail at 350+ premium lifestyle brands. PSL Season 3 has been thrilling us since day 1. 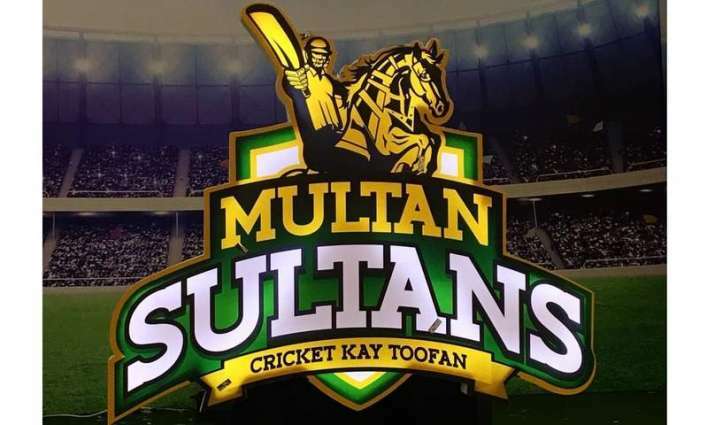 A mind-blowing opening ceremony was followed by an amazing debut match of Multan Sultans – the newest addition to the PSL family. Pakistanis cannot get enough of the new PSL 2018 anthem by Ali Zafar. With a very catchy tune and intense lyrics, Ali Zafar has once again proved his mettle to the world. With the atmosphere already electrified, SavYour’s giveaway is undoubtedly delighting the fans even more. So what are you waiting for? Register yourself now and experience the adrenaline-pumping PSL Finale live at National Stadium, Karachi. Down to earth person who is a tech geek, gaming enthusiast and loves to live in the moment.